Describing their music as “all about torment,” Odium Totus vacillates between dreadful moments of wretched hopelessness and pugilistic riffs that pound the listener senseless. With a sound reminiscent of Ved Buens Ende’s Written in Waters, Nullam Congue Nihil is a caustic, vicious insult aimed at every living thing on the planet. Yet, even this bleak darkness hides a subtle sense of aesthetics, and listening to the album multiple times reveals layer upon layer of sheer dissonant majesty. 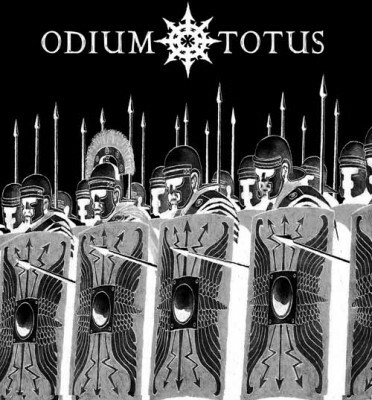 Odium Totus sets out to prove that even the most punishing and immediate black metal can be atmospheric, like the ringing in your ears after repetitive, blunt-force head trauma. Between Dyingnysus’ continuous death rattle and R. Sodomizer’s pounding percussive assault, Nullam Congue Nihil mocks the very concept of mercy by its explicit promise of pain. Listen at your own peril.